*Contemporary Piece. 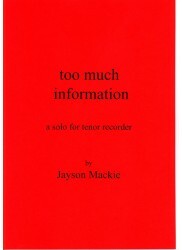 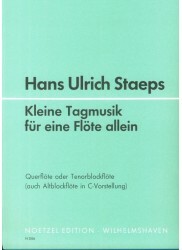 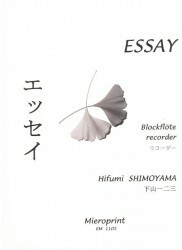 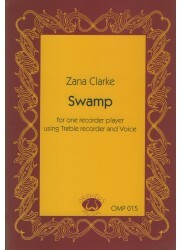 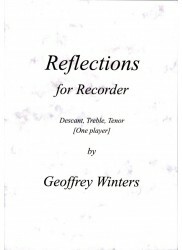 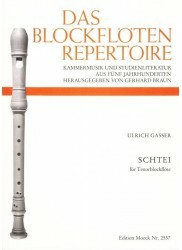 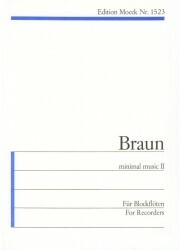 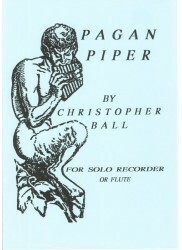 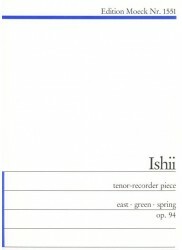 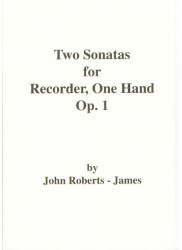 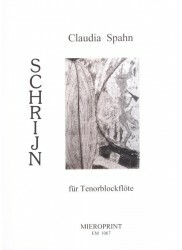 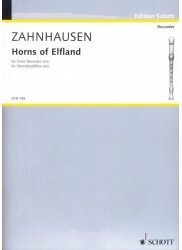 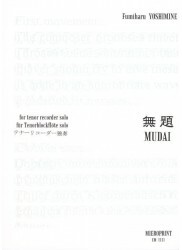 * Beautiful harmonies and melodies in three movements utilising different techniques of vocalised recorder. 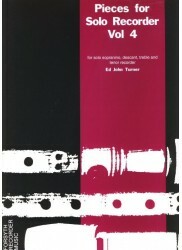 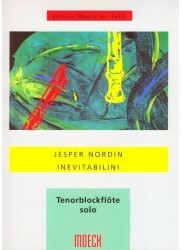 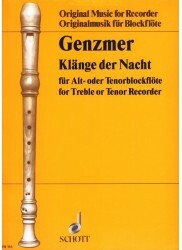 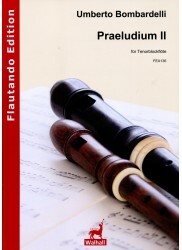 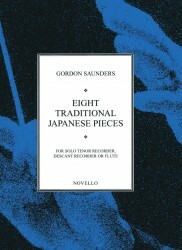 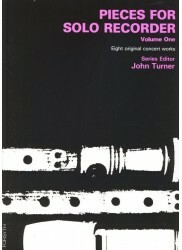 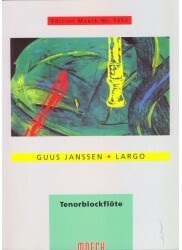 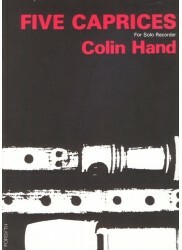 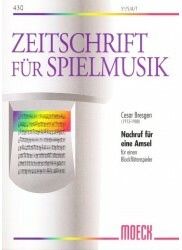 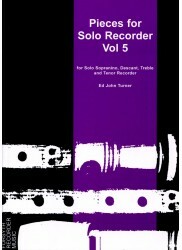 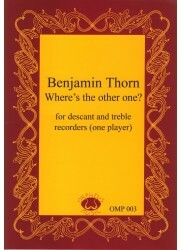 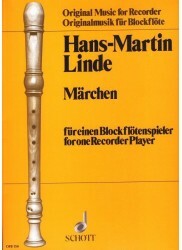 First and third movements explore complex counterpoint between recorder and voice. 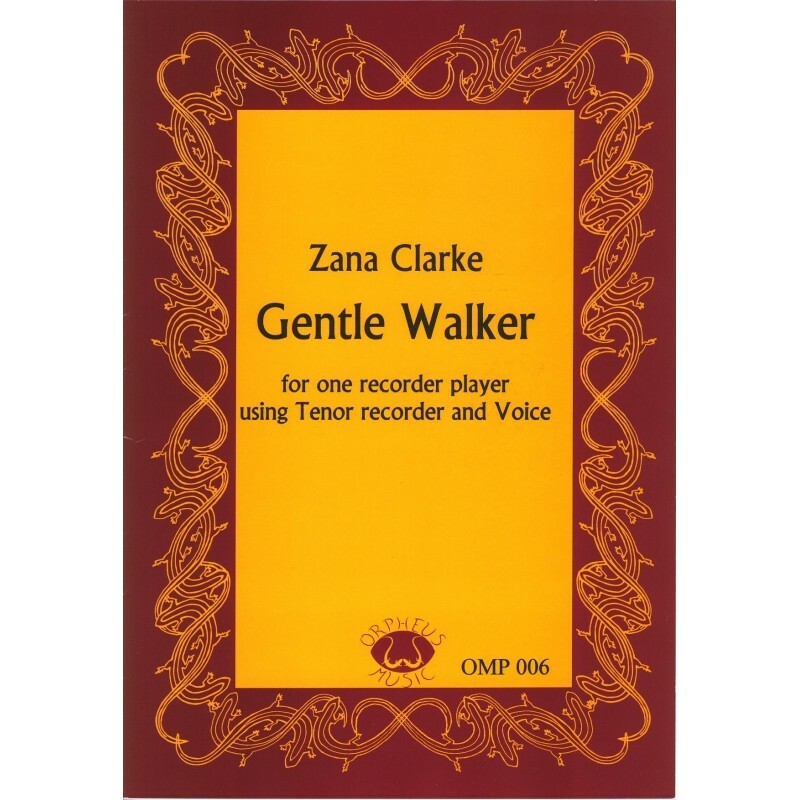 Probably most suitable for a female voice. 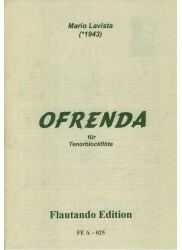 Dedicated to Bey Ayre. 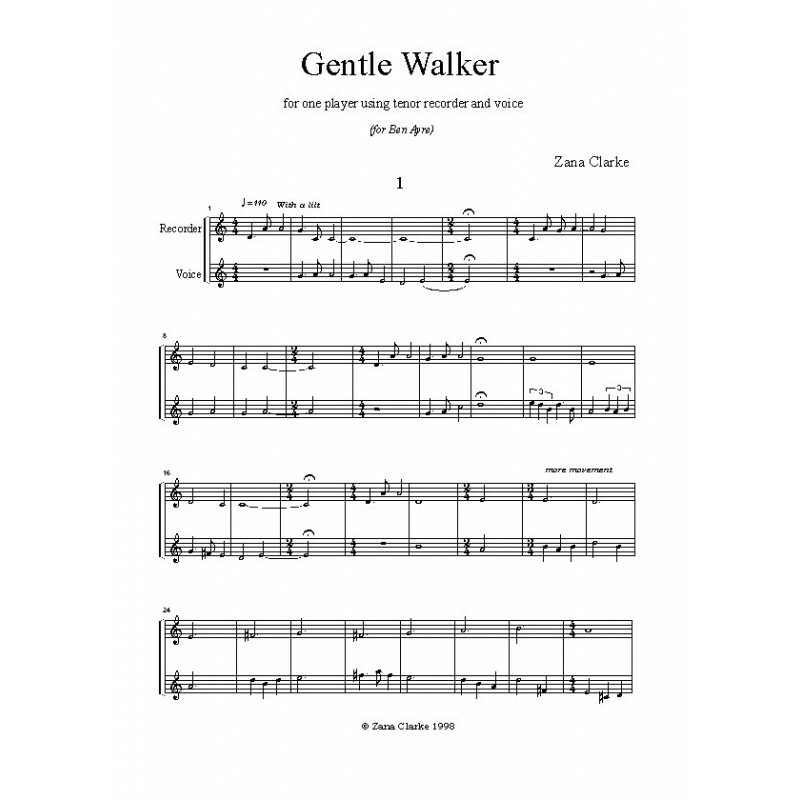 Gentle Walker is a duet for a recorder player who sings into the instrument while playing, is the most attractive of Clarke's pieces, not so much because her ideas are more interesting, but because it is in three movements, and therefore her premises are less extended. 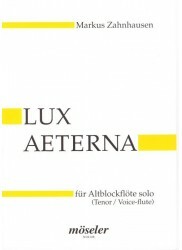 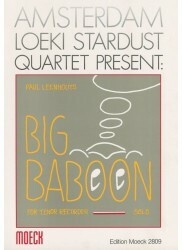 The first movement is moderate and melodically wandering. 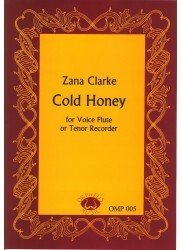 Her simple polyphonic writing would be easy as a recorder duet, but to sing one part and play the other at the same time is very hard. 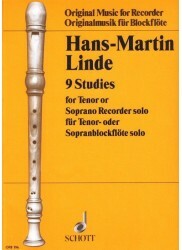 The second movement is easier, since the voice part is in unison with the recorder except for the last few bars. 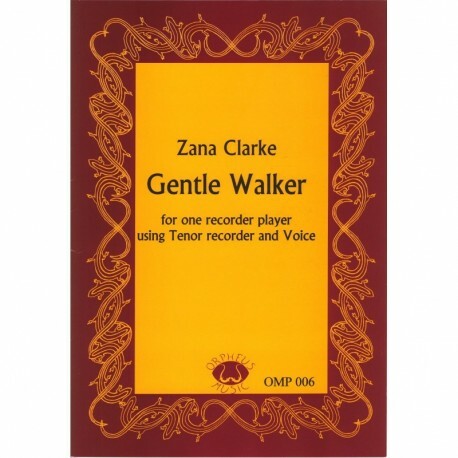 Clarke gives us her most homogeneous statement in the extremely difficult third movement. 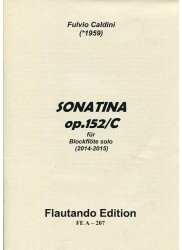 Here an ostinato figure that changes slightly in each melodic section accompanies an increasingly faster moving melody, something like van Eyck's variations but without a theme.